And they shall repair the ruined cities. Our goal as Christian parents is to proverbially rear “oaks of righteousness” in the earth. For serious Christian parents, education cannot be simply a matter of building their child’s transcript to boost her chance of making it into the Ivy League…The kind of schooling that will build a more resilient, mature faith in young Christians is one that imbues them with a sense of order, meaning and continuity. It’s one that integrates knowledge into a harmonious vision of the whole, one that unites all things that are, were, and ever will be in God. How do we as parents partner with this process? I would like to suggest that our partnering as parents points to a state of determined resolve in the following areas: prayer, vigilance, and hope. In all these components we may partner with our school in fostering not only a “survival” in this point of history, but a poignant mission whereby our nation may experience a Great Awakening. Classical learning can be a vital foundation to such vision. Many years ago, when my husband and I were students in seminary, the president of the school shared with us stories of his mother, whom he identified as a “praying woman.” However, it struck him one day that she was more than this. Although she prayed, she seemed to remain in a state of prayer, thereby making her a “prayerful woman.” In I Thessalonians 5:17, the apostle Paul exhorts believers to “pray without ceasing.” The Greek word used here, adialeiptos, indicates it is to be “constantly recurring.” We are to remain prayerful as parents! Pray for those Latin tests, pray for administration, staff and teachers at CCS. Pray. Indeed, as theologian Steve Land has noted, it is the “first great theological act.” If classical Christian learning embodies a “harmonious vision of the whole,” as Dreher has noted, then a partnership that embodies prayer follows. Certainly, as Andrew Murray stated, “And of all the traits of a life like Christ there is none higher and more glorious than conformity to Him in the work that now engages Him without ceasing in the Father’s presence—His all-prevailing intercession.” We have the privilege to join in Christ’s intercession for our children, knowing prayer is our greatest ally. My father recently visited the site where his grandfather reared fourteen children in the mountains of North Georgia. 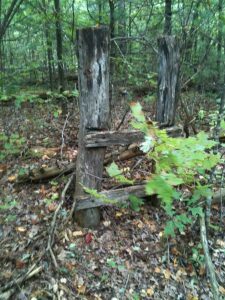 At the site, all that remains is an old fence post made from sturdy wood he himself had hammered so long ago. He was both a preacher and a farmer, filled with faith in a God who provides. He would often pray over his crops as he plowed, praying that God would use the food to feed all the children. He also prayed for his fourteen children to know Christ. And with that, he included another step. He prayed for the generations that followed to be filled with wisdom. He focused specifically on Daniel 12:3: “And those who are wise shall shine like the brightness of the sky above; and those who turn many to righteousness, like the stars forever and ever.” His great-great-grandchildren are partakers of those very prayers when they memorize Scripture and see the beauty of God in all subject manner at CCS. Prayers build fences around our children and reach far into future generations as we pray! Prayer requires vigilance. This is a vigilance birthed not from fear, but from faith. We believe in a great harvest to be gained in our children, but we are on guard in this process. A farmer insures both pests and wild beasts do not ruin the harvest, and likewise, we must enter a state of vigilance as opposed to passivity. The choice to enroll our children at CCS stands alone as an indication of not being passive—but what now? I want to suggest here that because of the decision to train a child in classical Christian education, we must be prepared for friends or even family to oppose the cause, as culture certainly aligns with similar opposition. Maintaining a posture of vigilance ensures these young “oaks” do not bend with cultural tides and change. Vigilance may also mean encountering our own peer pressure as parents not only to reject keeping up with the metaphorical “Joneses,” but daring to become what Peter calls “a peculiar and chosen people” (I Peter 2:9). Indeed, we must remain “salty” in spite of a world that is quickly losing saltiness! Rod Dreher asserts, in referring to the classical approach, “There is no more powerfully counter-cultural way to cultivate resilient Christians from their youth.” Our vigilance as parents can lead to a transformation both for our children and for us as parents, ultimately leading to a community of salt and light. This is the kind of alteration that may usher us into another Great Awakening, influencing society and cultural norms with a counter-cultural movement. At this juncture, we have great hope, the third component to cultivating oaks of righteousness. In Proverbs 13:12, we are told that “hope deferred makes the heart sick.” A hope grounded on anything other than Christ does produce a sick heart. However, a partnership with an educational model that seeks the beauty of Christ in all subject matter restores amazing hope and promise into a generation! Thereby, a partner parent in this process will restore ruins that our culture has created in education, allowing us to instill in our children “a future and a hope” (Jeremiah 29:11). the classical Christian school orders everything around the Logos, Jesus Christ, and the quest to know Him with one’s heart, soul, and mind. Classical education accepts…the understanding that all of reality is grounded in transcendental ideas–in fact, in the One in Whom we move and live and have our being. The role of narrative is critical in instilling hope in our children. The whole idea of their life’s story and the Christian story, written one page at a time as they seek to know Christ impacts every facet of their learning with great hope. Even the emphasis of Latin syntax, studying great works of literature, and an emphasis on grammar are components in this remarkable process! Paul referred to his disciples as “living epistles” (II Corinthians 3:2). Our children are our epistles, being “written” by us, their teachers, and ultimately by a sovereign Savior as they journey through classical learning. 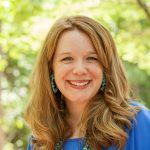 Aubrey Jensen, B.M.E, M.Div., is a mother of six, including five students at Cary Christian School.